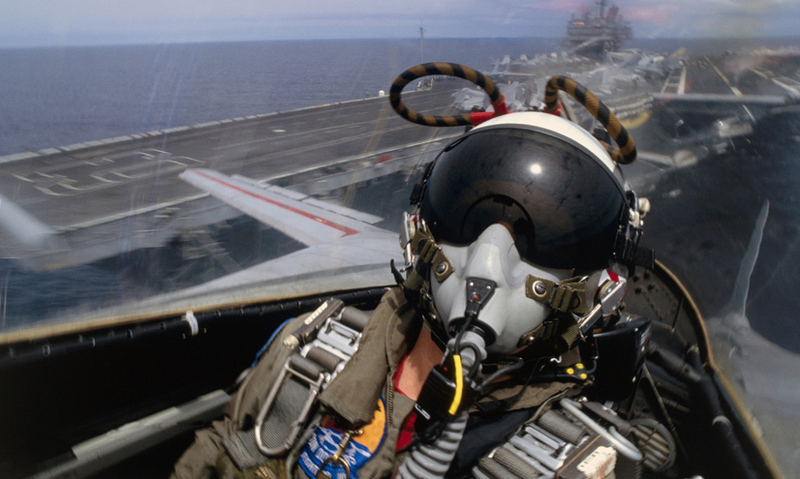 Changes in acceleration pose an extreme risk for fighter pilots. Find out how they train to avoid blacking-out during flights. Fighter pilots undergo training to allow them to cope with G-force. Fighter pilots train in a centrifuge. G-force can make a pilot feel nauseous, experience blurred vision, or even pass out. Fighter pilots subject their bodies to intense forces. They must be able to cope with extreme acceleration, hard turns, and dizzying changes in altitude. As engineering has advanced, fighter planes have reached faster accelerations – which the human body isn't built to withstand. Increasing acceleration increases what is called the g-force.